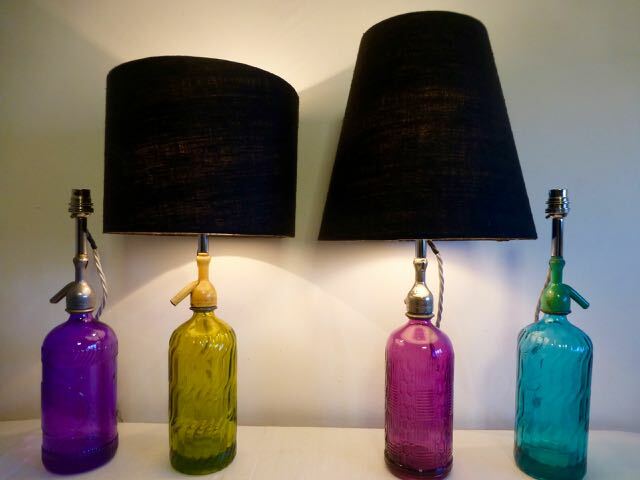 Description: Old coloured European soda bottle lamps at £275.00 each. Shades are an extra. All sold at the moment but waiting for more to come in.